With cannabis set to become legal on Oct. 17, many Manitobans are still unclear about whether the drug poses any health risks for users. 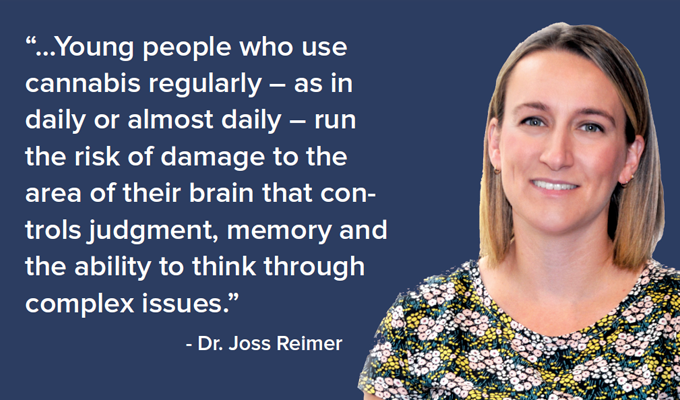 Dr. Joss Reimer, a medical officer of health with the Winnipeg Regional Health Authority, recently sat down with Wave to discuss the issue. Q: How will the law on cannabis change on October 17? The big change is going to be in personal possession. 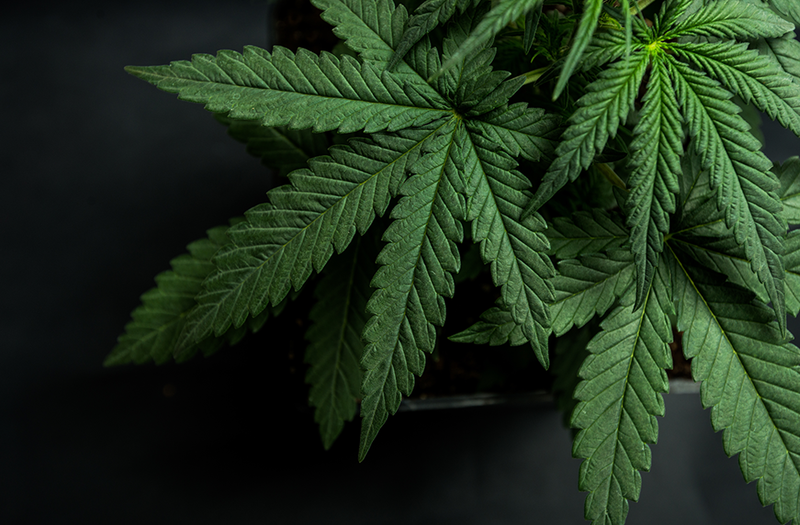 It will be legal for approved producers and retailers, to grow and sell cannabis, starting with the dried plant for smoking and vaping, and some oils. Regarding possession, people will be allowed to have 30 grams on them in public, as long as they're over the age of 19 in Manitoba. There are no limits to what you can have at home. Keep in mind that the places you can legally use cannabis in Manitoba will be very limited. Manitoba may create exceptions in the future, but for now, the province is making it illegal to smoke or vape cannabis in any public outdoor or indoor space. Basically, like tobacco, you can get a ticket for smoking/vaping in a public indoor space, but with cannabis you can also get a ticket for smoking/vaping in a public outdoor space like a park, a school or even the sidewalk. 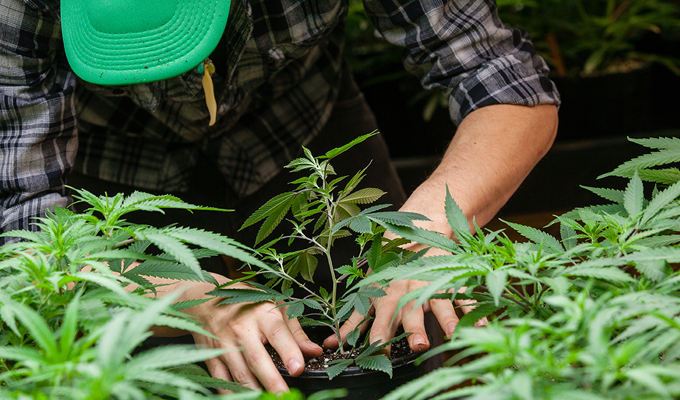 While people can legally grow their own cannabis in some parts of Canada, you won't be able to do that in Manitoba, Quebec or Nunavut. However, Manitobans who have approval to grow medicinal marijuana can continue to do so. Q: What is the public health perspective on legalization of cannabis? All things being equal, most public health officers view cannabis as being a lot less harmful than some of the other drugs that are being used these days, such as methamphetamine, fentanyl or even alcohol. In addition, legalization will also help deal with some other issues. For example, legalization will reduce or eliminate the black market, which is a source of tainted drugs and criminal activity. It can also help reduce stigma, so that people who use cannabis can feel safer talking to their health-care provider about their use. Most importantly, legalization means people will no longer face criminal charges for simple possession. A criminal record will have a much larger health impact on a person's life than typical cannabis use. Having said that, cannabis is not a safe drug, and everyone needs to understand that its non-medical use does pose significant health risks. Q: What are the short-term risks associated with non-medical use of cannabis? When it comes to the short-term, it can impair your ability to do complex tasks. That includes things like driving, caring for young children, or anything else that requires you to have your mental capacities working. Q: How does cannabis impair the ability to drive? Whether you eat or smoke cannabis, it impairs your ability to drive. We know that if you eat cannabis, you need to avoid driving for longer than you would when smoking it, because it gets metabolized or processed by your body more slowly. Unlike what we know about how alcohol affects the body, cannabis is not as linear. Some people may have high concentrations in their blood for a long period of time and yet not feel overly impaired. Other people will process the drug very quickly, and it will leave their body much more quickly, even though both people may experience the same impairment. Cannabis doesn't have as big of an impact on balance as alcohol does, but your motor skills definitely would be affected. You would have slower reaction times. You can also experience hypersensitivity to stimulus. You can overreact, yet you're doing it in a slower way. This means you might slowly respond to something, and drive off the road. Studies have looked at reaction times, when people are in driving simulators, and found their reaction times to be much worse than that of a sober driver. The basic message is: when you're high, don't drive. Q: What are the longer-term health risks associated with non-medical use of cannabis? Lung health is probably one of the biggest ones for adults, if you're smoking it. We don't have long-term, major studies showing that lung cancer is associated with non-medical use of cannabis. What we do know is that it does cause damage to the lungs. People who smoke cannabis regularly can have a chronic cough, shortness of breath and wheezing. All the types of things you see with people who smoke tobacco regularly. There are also important health risks in the areas of pregnancy, heart health and mental health. Q: Does cannabis affect the health of young people differently than adults? Yes. Young people who frequently use cannabis run the risk of brain damage, which for some people is irreversible. The human brain is not fully developed until a person reaches about 25 years of age. But cannabis contains a psychoactive ingredient called tetrahydrocannabinol (THC) that can affect the brain before it is fully developed. As a result, young people who use cannabis regularly - as in daily or almost daily - run the risk of damage to the area of their brain that controls judgment, memory and the ability to think through complex issues. Adults can also experience these effects, but it tends to be reversible if they stop using. Q: How could cannabis use affect a person's mental health? Cannabis has a few different mental health risks worth highlighting. Cannabis does seem to make depression worse. People do use cannabis as a treatment for depression because it can make you feel relaxed in the short-term, but if anything, it does seem to make the depression worse over the long-term. There is enough evidence against using it if you suffer from depression. Cannabis use is also linked to some psychoses and schizophrenia. We don't know if it causes schizophrenia, or if people who are already at risk for schizophrenia are using cannabis because they have symptoms, or if there are other things going on. It does seem that the link is a bit clearer when it comes to young people, in that it does appear to be more of a potential cause. If young people are using regularly, they have a higher risk of developing schizophrenia later on in life. What we recommend, for anyone with a personal or family history of psychoses is that they should not be using cannabis. We don't know for sure that it could be the cause, but we don't want to increase anyone's risk of developing psychosis. Q: Given the effects of cannabis on young people, would public health officials want to see the legal age set at 25? No. The reason is we already know that people between the ages of 16 and 25 consume the most cannabis of any age group. Knowing that, we want young people to have access to the safest forms, at a controlled concentration, where you know there's nothing else in it, where it's packaged in appropriate doses, where they can get health information, rather than continuing to use the black market. If we limited sales to people over the age of 25, the largest group of consumers would continue to buy on the black market, which continues to perpetuate criminalization, gangs and all the negative things we're trying to get rid of through legalization. As well, at age 18 or 19, society has decided that young people are mature enough to start understanding the risks and benefits of certain life decisions. You can vote, and drive a car. As it turns out, the Manitoba government has decided that age 19 is a reasonable cut-off, in line with other substances and other risky life decisions. Our job in public health is to educate people so they know what harm they're going to be doing to their brain. But eventually, a young adult is going to have to decide for him or herself if they want to smoke cigarettes, go bungy jumping, play some of the more dangerous sports, or use cannabis. Q: Is it possible to overdose on cannabis? Technically speaking, it is almost impossible to die of an overdose, at least for adults. Most adults who are using cannabis would have to actively try to consume a very large amount to overdose and die. However, especially with edibles, people can accidentally consume enough to experience very unpleasant overdose symptoms like paranoia, psychosis, and anxiety that might land them in an emergency department. And young children who accidentally consume cannabis can get very ill. Absolutely, but less so than other substances that people use regularly. About five to nine per cent of adults experience dependency when they use cannabis. That's quite a bit lower than alcohol or opioids like heroin or morphine. Or tobacco, for that matter. The bottom line is that not everyone is going to be addicted, and we can't say that no one would become addicted. It's in the middle. It's addictive for some people. Some people can use it and have no issues with addiction or dependency. Q: What have we learned from other jurisdictions that have legalized cannabis? We've learned a number of things. In Colorado, for example, they have experienced an increase in calls to poison control and an increase in emergency department visits, especially amongst tourists. Calls to poison control in Colorado are also way up because of accidental exposures among children. Colorado had to take a step back and reevaluate some of the rules they had around packaging and dosage to help combat this. We expect we'll see some increases in poison control calls and emergency visits here, as people learn how to dose this new substance. However, we have also learned that, overall, it seems like there has been very little change to the number of people using cannabis overall, which is very encouraging. Q: How are children in Colorado getting accidental exposure? Toddlers will eat anything brightly coloured. They put everything in their mouths. In Colorado, it was legal to sell gummi bears and other candies that contain cannabis. If the products aren't kept out of the reach of children, they'll eat them. In Canada, the federal government is still working on the exact rules around the future sale of edibles. What they've said so far is that the packaging and advertising cannot be appealing to children. But even if the packaging is not appealing to children, it will still be important to keep cannabis out of their reach, ideally locked up at home. Q: Is cannabis safe to use during pregnancy or while breastfeeding? We don't have much research on cannabis use while breastfeeding. We do know it goes into the breast milk in very small quantities. But no one has studied the effect on the infant. So at this point, we're saying no amount is safe. If you do use, use as little as possible. When it comes to pregnancy, there have been some research studies. We do know that it's been linked to lower birth weight and some disabilities later on in life for those children, if the mother is using regularly while pregnant. So unequivocally I would say that people should avoid cannabis when they are pregnant. Q: What about interactions between cannabis and prescription drugs? 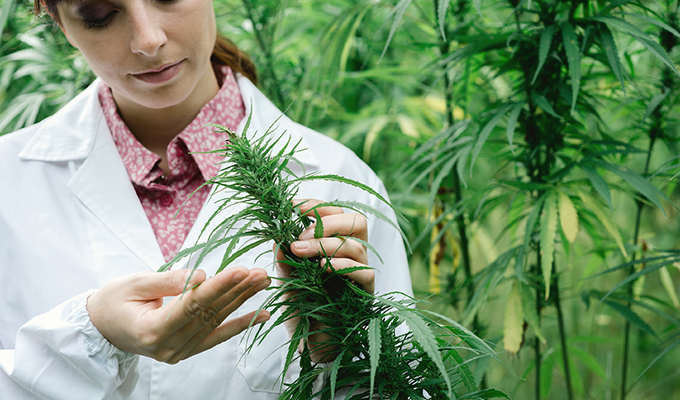 The College of Pharmacists of Manitoba has already dealt with the issue of prescription cannabinoids, so they would have the knowledge to discuss that. They already advise against using alcohol at the same time as medications, so I would imagine they would give the same advice about cannabis. But it's best to talk to a pharmacist. Q: What about second-hand smoke? Should I be worried about my neighbour in the apartment I live in? No one has studied second-hand smoke from cannabis yet. We don't know if children who live in a home with a cannabis smoker will be harmed, the way they would be with tobacco smoke. I expect they would be, because I can't think of any physiological reason why the effect would be different. We know that smoke particulates cause harm to the lungs. As far as whether adults could become impaired, you'd have to be in a room where there is a concentrated amount of smoke. We use the term "hot boxing" when you're in a car and you use a high concentration of THC in the cannabis, and try to contain the smoke within the car, so that you get high from what you're smoking and what the person with you is smoking. But with any reasonable ventilation system, you will not become impaired while being in the same room as someone using cannabis. So it's very unlikely that your next-door neighbour in an apartment will put you or your child at risk for impairment. You may hear that cannabis can treat the symptoms of a huge list of different disorders. But most of those claims don't have good scientific backing. So far, there is evidence to suggest that cannabis can help reduce some of the effects of multiple sclerosis and chronic neurologic pain. It can also help increase appetite and reduce nausea in patients undergoing chemotherapy. Q: Should I talk to my health-care provider if I want to use cannabis? Yes, it's best to talk about this with your health-care provider. If you think medical cannabis is a good option, then talking to your health-care provider is the best first step. Your doctor or nurse practitioner will also need to know if you're using, even non-medically, especially if it affects a prescription they want to write for you, or other areas of your health. Q: What does my health-care professional need to know about cannabis? Doctors and nurse practitioners are educating themselves on the risks and benefits, because their patients are going to start asking about them. Cannabis used to be a taboo topic, because it was illegal. Now, they're going to ask. They'll say, "What about my child who has seizures? Will it work?" So health-care providers will need to know about the medical benefits, the potential harms, the non-medical options, as well as how to use it as safely as possible. Health-care providers are going to see it more, possibly because usage goes up, but definitely because people are going to be more comfortable talking about it. Q: What does responsible cannabis use look like? Don't use cannabis every day. Use the lowest concentration possible. Avoid super-concentrated versions of cannabis like "shatter," "wax," etc. Don't combine it with other substances, ie: don't use cannabis and alcohol together. Avoid driving after use. The timing of this will depend on whether you ate or smoked cannabis, and how high you became. For more lower-risk guidelines, see the "FYI" section at the end of this article. Q: What are the differences between smoking, vaping and eating cannabis? We don't know much about the overall health effects of vaping, but we do know about the negative health effects of smoking, so it's probably better to vape than smoke. But it's probably even better to eat cannabis than to vape. Nonetheless, there are some things to consider when eating cannabis. For example, your body processes the drug differently, and it takes longer to have an effect. So people often use too much. A typical experience is: they eat a cookie that has cannabis in it, and an hour later, they're not feeling anything. So they think it didn't work, or it wasn't enough, and they eat two more cookies. An hour later, they're now very high. It's now three times the high they intended. For some people, it can take up to three hours to feel the effects of cannabis. Others might start feeling the effects in 45 minutes. It's difficult to know exactly what your body's response is going to be. When it comes to edibles, that's where we're going to see more people going to emergency rooms. However, that seems to be the only increased risk, compared to smoking it. Smoking and vaping are riskier in the long term. Q: Can people make their own edibles? It will be legal for people to make their own edibles. If you purchase cannabis oils from a shop, you will know the concentration of THC. It will take some time to learn how much to put into your recipe or food. You'll have to make sure it's well blended, so you don't get half of a brownie tray with a lot of the drug, and the other half with very little. It will take some time to learn how to dose and mix it. Q: Is there a test for cannabis? Yes, but it's not as good as for alcohol. Testing for cannabis levels is very challenging, because it's a fat-soluble substance that goes through your body in a less-predictable way than alcohol. When we do a breathalyzer for alcohol, our bodies, for the most part, process alcohol at the same rate. When you have some in your breath, it's fairly predictive of how much is in your blood, how much is in your brain, and how impaired you are. For people who regularly drink a lot of alcohol, they may be less impaired at a higher level, but overall, it's correlated fairly well. For people who use cannabis regularly, they can have it in their system for up to 30 days. They could potentially test positive, even if they haven't used for weeks. But that's pretty rare. Most people will get it out of their system within a day or two. Say you plan on using cannabis on Saturday. You want to be responsible. You take a cab to wherever you are going. You use a reasonable amount of a predictable product that's legal. You are in a safe place. And then, on Monday morning, you drive to work. You potentially may still have cannabis in your blood that would be measurable if they did a blood test. But that doesn't necessarily mean you're impaired. So the federal government has the challenge of figuring out how to regulate that. You don't want people driving while impaired. You could cause harm to yourself and others. But you don't want people being punished when they are not impaired. The tools police have right now are the road-side impairment tests such as having a person walk a line. This will remain useful when cannabis becomes legal. Police can also use smell, to inform them of what substance it is. There are also buccal swabs for the inside of the cheek that can be used to determine what substance is in the body. But it's just a Yes or No. It doesn't tell you how much. So it would just say, yes, it's cannabis, but not whether the person is impaired. It's more helpful if you can see that the person is impaired, and there's cannabis in their body. But we have to be careful not to equate the fact that it's there with meaning you're impaired. The swab is just available to help inform the overall picture. The swab cannot prove anything about impairment. In June, the federal government also changed the criminal code so that it's now a crime to drive with more the 5 ng/ml of THC in your blood. This means that if a police officer has good reason to suspect you have used cannabis, they can demand a blood sample. If you test above 5 ng/ml, you could be charged with impaired driving, just like if you have an alcohol level greater than 0.08. Q: Have cannabis plants become more potent over the years? Yes. Cannabis has increased in potency quite a bit over the years. In the 1970s, it was around five per cent THC, and it's now 15 per cent THC, on average, with huge variations. When we legalize, it will be interesting to see which products sell better, because, anecdotally, many consumers say they wish they could get lower-concentrated options. Q: What do you predict will change in Manitoba once cannabis becomes legal? We've done surveys and found that about 20 per cent of current non-users say they'll try it. That's a response over a variety of age groups. Some jurisdictions that have legalized cannabis have seen some increases in young people using it, but other ones have not. So it's very hard to know. Surveys in Colorado found that youth felt it was harder to get cannabis once it was legal, because the black market was disappearing and they were too young to buy the legal product. I'm hopeful it will be something like that here. But I recognize we might be similar to other jurisdictions where they did see small increases in use amongst youth. I'm not expecting huge increases in any group, however, because that hasn't been seen anywhere else. Q: Does the WRHA plan to track cannabis use? We're looking at surveillance options together with Manitoba Health. We want to understand how usage changes over time. Does legalization change usage in Manitoba? Who is using, and how much? And does it change the harms? This will inform our future policy decisions. We do surveillance for other things right now. Say someone gets salmonella. The lab will automatically report that to Manitoba Health, who keeps track of all the cases of salmonella in the province. We're told about this, and we will respond if there's an outbreak of cases. Our surveillance about cannabis use and its harms may take this form, but we haven't finalized our plans yet. by visiting the Manitoba government's website at: www.manitoba.ca/health/cannabis.